Quadriga welcomes Emily Mallard to our Santa Rosa studio! Celebrating World Landscape Architecture Month by teaching Quadriga grandkids how to plant a tree correctly. We start them early! Congratulations to our own, Brett Kordenbrock, for his appointment to the City of Santa Rosa Design Review Board. Solano Community College’s new Science Building nears completion. 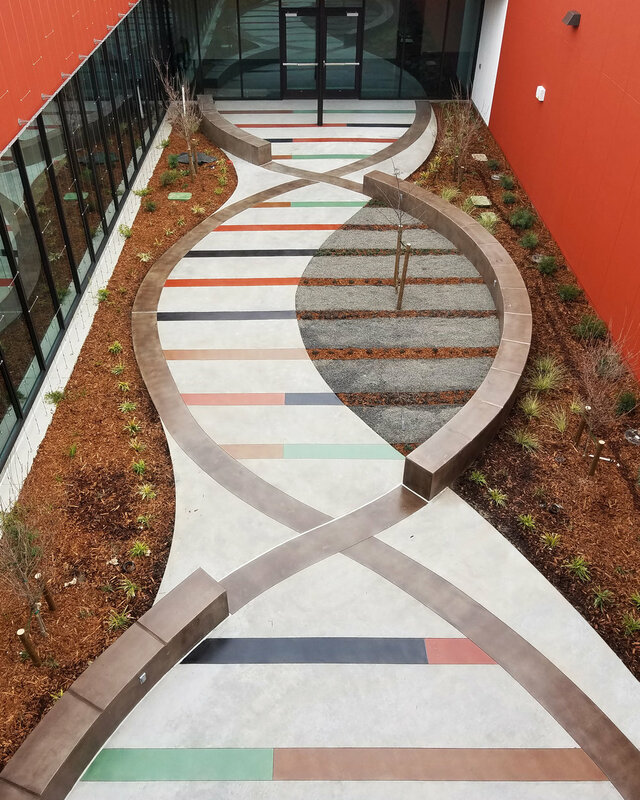 Concrete flat work at the Building’s Double Helix courtyard wrapped up last week and looks terrific. Excellent job by Bothman Construction (concrete flatwork) and DPR Construction (General Contractor). Quadriga travels throughout California to visit project sites and sometimes even Phoenix, Arizona. By visiting nurseries local to the project, we catalog readily available plants in the area. 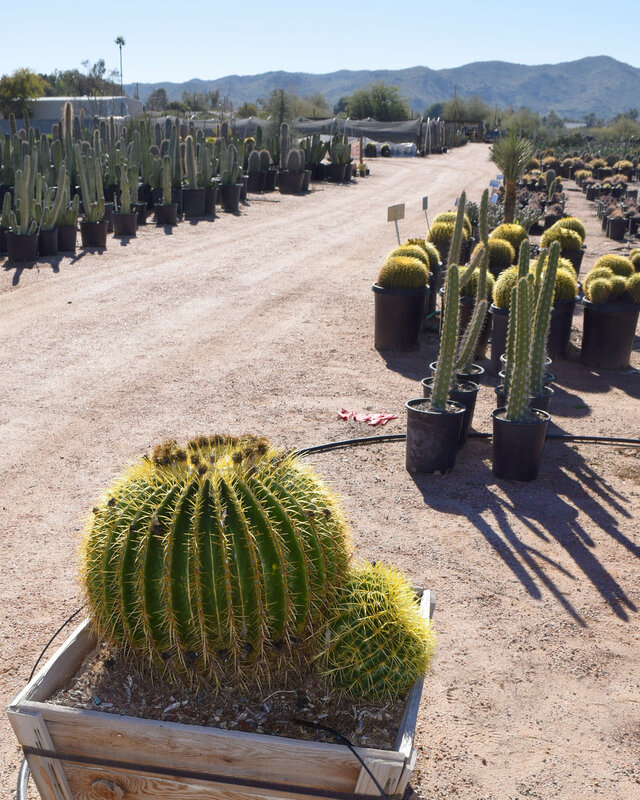 This Phoenix nursery specializes in cacti and desert-hardy plants. The pictured, Echinocactus grusonii, commonly known as the Golden Barrel Cactus, is loving the 70-degree winter sunshine. Quadriga Landscape Architecture and Planning, Inc. is seeking to expand our Santa Rosa Studio. We are looking for a design professional who is passionate about design, interested in our profession and looking for a place to grow. We offer a competitive salary and benefits package including opportunities for professional development. For a complete job description please email your inquiry to info@quadriga-inc.com. Congratulations to our own, Nate Oakley, for his new position as Member at Large for the ALSA California Sierra Chapter! Water conservation and finding the right plant for the right place is at the heart of what we do here at Quadriga. This month we were fortunate to learn from Village Nurseries and Mountain States Nursery about low water and heat-tolerant alternatives to some of the more moderate water use plants we love. One interesting alternative we learned about from Village was Sporobolus wrightii (Giant Sacaton) which is a great substitute for the more invasive Cortaderia (pampas grass). This grass received high ratings for its appearance during its lowest irrigation treatment during the 2015-2017 UC Landscape Plant Irrigation Trials. Two years in and our rain water garden has really grown in at Wright Charter School! Native sedges, yarrow, penstemon, and red bud have tripled in size around a swale which directs rain water back into the earth, rather than a storm drain. This educational feature, along with a rain water collection tank, was designed to smartly use storm water and help educate children about the importance of wise water use in our dry California climate. Who needs 2 acres of high-water turf when you can have a low-water, native, and (let’s face it) more interesting grassland? 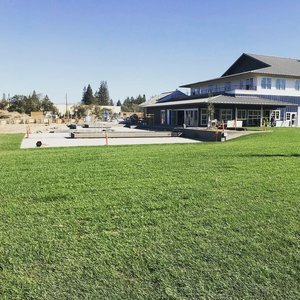 Napa Health and Human Services’ revamped frontage landscape is nearing completion and the planting is really taking off! As stewards of the land we try to be aware of products that are harmful to the environment. Ipe is a popular deck material but it’s contribution to deforestation has us investigating these alternative products: Accoya, Moso Bamboo, and Black Locust. We hope to use one of these environmentally sensitive products for WEST, a mixed-use housing project we are working on in West Sacramento. What happens when you combine a dog park and neighborhood pub? You get Mutts & Mugs, a project we are designing in Sacramento. Check out Sactown Magazine's article, A Pup-Focused Pub to Open in South Land Park, for more info. Bill Mastick has retired, completing a period of transition that began in 2015. We will miss his exuberant laugh, his vast vocabulary, his leadership and, most importantly, his dog Carl. We are excited to see what he will do next! Over the past three years, management and leadership responsibilities have been assumed by Principals Christine Talbot and John Suesens. They will continue to guide Quadriga’s growth, development and relationships in the years to come. Congratulations, Bill! American AgCredit Headquarters opens in Santa Rosa! PORTAL receives ASLA Merit Design Award from the ASLA Northern California Chapter! 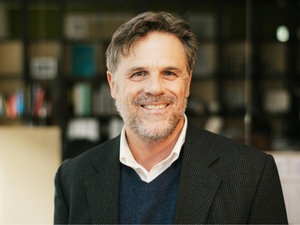 Marq Truscott elected chair-elect for the ASLA Council of Fellows and appointed to the California Landscape Architects Technical Committee. Kimberly Garza talks PORTAL and placemaking on Capitol Public Radio. Quadriga welcomes Tom Hessel to our Sacramento studio! 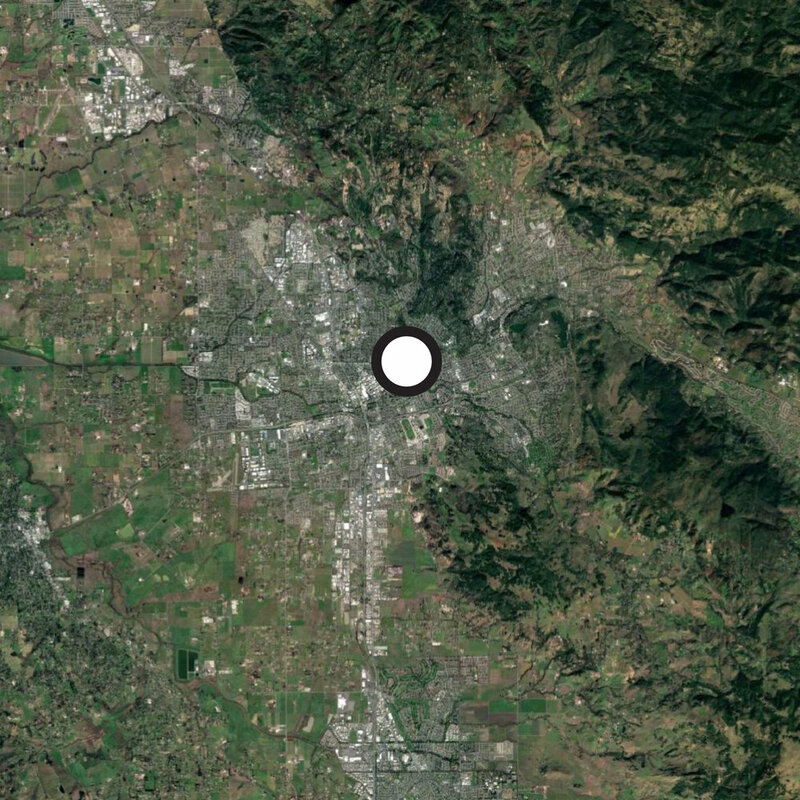 Sacramento Bee: PORTAL activates “dead zone” in Sacramento’s urban landscape. Sacramento Parks and Rec unanimously votes to support proposed19th and Q Street Dog Park! Quadriga welcomes Rachel McQueen to our Santa Rosa studio!